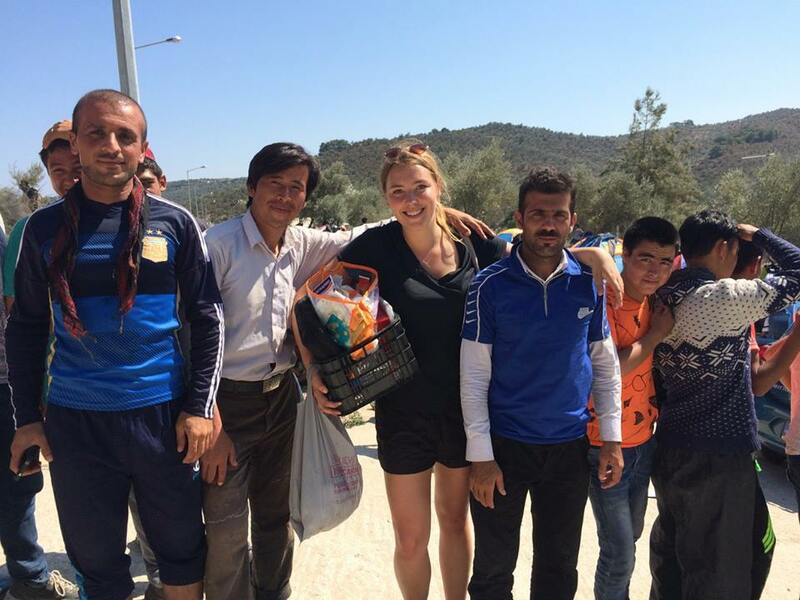 Sophie Parr in Lesvos, Greece. Credit: Shaan Ali. 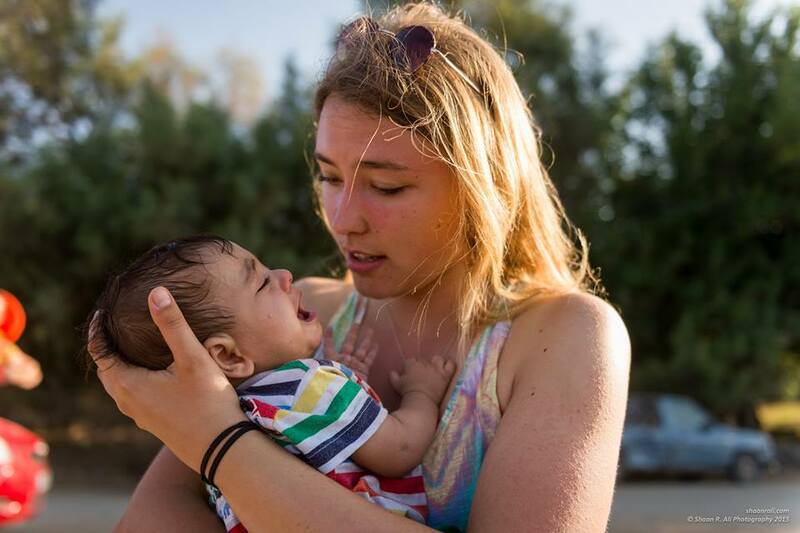 Last year she volunteered in Lesvos, Greece, where boatloads of refugees were arriving from Turkey to seek safety, having fled conflict and persecution in countries as far afield as Syria, Iraq and Afghanistan. She recalls standing on a stretch of beach on the idyllic Greek island, watching as boats, first appearing as specks on the horizon, sailed towards the shore. “You could pinpoint the boats that were leaving Turkey across the stretch of water, with each lifeboat containing 45 to 60 people,” she says. Some days, from dawn until late at night, groups of volunteers would wave the boats in, greeting refugees with water, clothes, medicine and warm welcomes. Ms Parr, a volunteer with the Starfish Foundation, often saw thousands of people arrive in a single day. “Each boat that arrived was starkly different. For instance, some people would jump out when they saw us waving them in, so excited and elated. They would immediately hug each other, and were obviously exhausted and relieved,” she says. 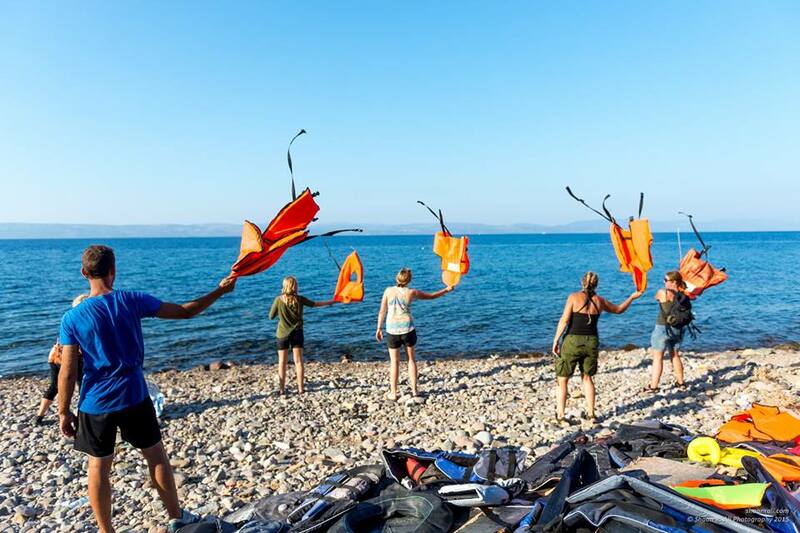 During the summer and autumn of 2015, record numbers of refugees streamed into Lesvos, leaving volunteers, like Ms Parr, with the tremendous task of providing aid to thousands of new arrivals each day. Ms Parr worked 16 hour days doing a variety of tasks including handing out food and water, organising transportation, doing triage and first-aid and setting up a new transit camp for refugees. Despite the difficulties, Ms Parr says volunteering in Lesvos was one of the best times of her life and it reinforced her humanitarian ambitions. “I felt exactly where I was meant to be,” she says. Ms Parr’s interest in humanitarian work first began in high school. After studying international politics in her undergraduate degree, Ms Parr enrolled in the Juris Doctor at Melbourne Law School. One of her favourite experiences at MLS was studying Institutions in International Law, a subject that is taught intensively in Geneva, Switzerland. “It was such an incredible experience. I hadn’t travelled much when I was growing up, and so felt very lucky to have the opportunity to meet individuals working in the field and visit organisations such as the UN, Humanitarian Dialogue Centre, Geneva Call and the WHO”, she says. The subject inspired her to undertake an internship in Fiji with the UN Office of the High Commissioner for Human Rights. A few months later, Ms Parr went back to Europe, this time on exchange to the University of Amsterdam where she completed the final semester of her JD, undertaking subjects partnered with the Hague. It was in the Netherlands where Ms Parr first witnessed the scale of Europe’s refugee crisis. More than one million refugees and migrants crossed into Europe by sea in 2015, and she was deeply affected by the humanitarian emergency. “I couldn’t believe the sheer numbers of arrivals I was seeing in the news and the lack of a coordinated response to this crisis happening just a couple of hours away from us,” she says. Motivated to help, Ms Parr got in contact with a MLS classmate, Shaan Ali, who was already volunteering in Lesvos, and quickly booked a one-way flight to Greece. Working with refugees in Lesvos gave her a new appreciation for the law. Not merely an abstract concept to study in class, the law can be used to help people and change lives. “My time in Lesvos gave me an understanding of the urgent necessity, and indeed opportunity for, significant international refugee law reform. Something more tangible must be put in place and we have that responsibility as lawyers to act,” she says. 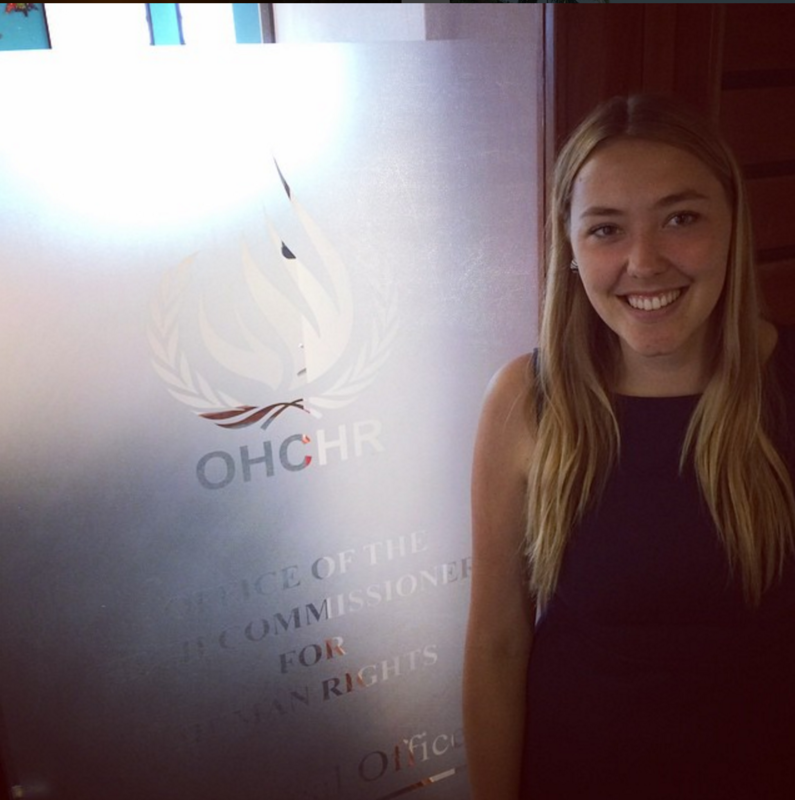 Now that she’s graduated, Ms Parr is working for Amnesty International in London as the producer of their inaugural Refugee Summit. This will bring together over 100 individuals, including refugees, activists and members of NGOs and grassroots organisations, aiming to facilitate collaboration across organisations and tangible projects from the sector. She plans to live overseas for the next few years and continue her work in refugee law.